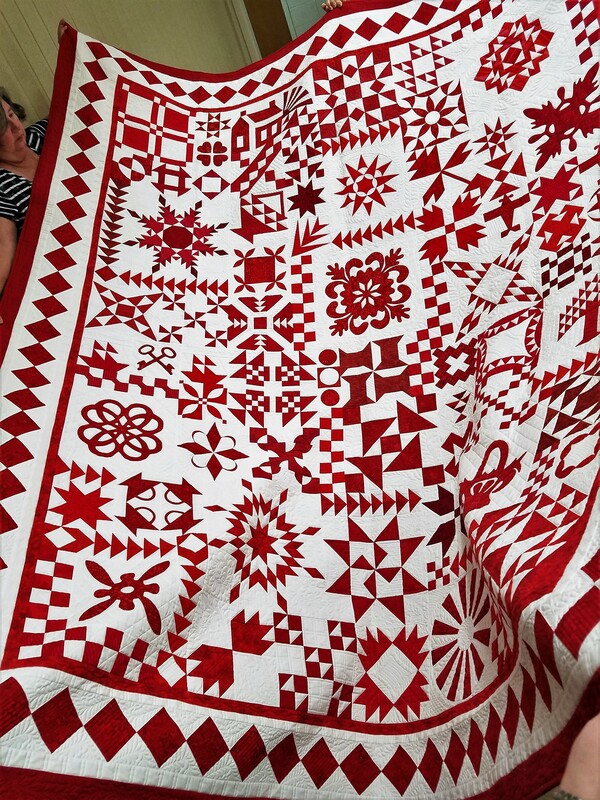 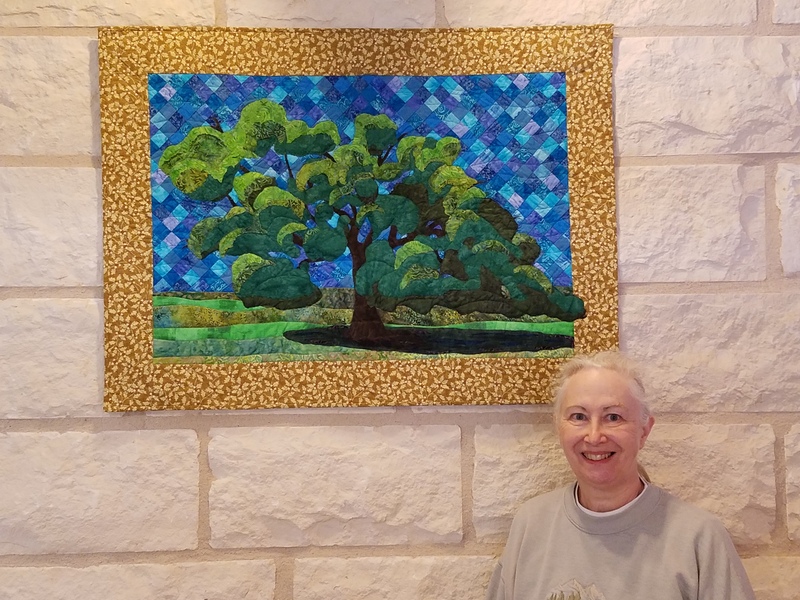 On my teaching trip to Texas in March, my host at the Vereins Quilters’ Guild in Fredericksburg was Kate Hunter. I stayed at Kate’s home for three nights, enjoying her kind hospitality and seeing her quilts. 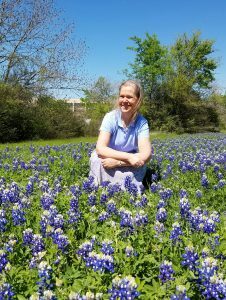 Kate has a degree in mechanical engineering and worked at Boeing in the Pacific Northwest until she retired about six years ago. 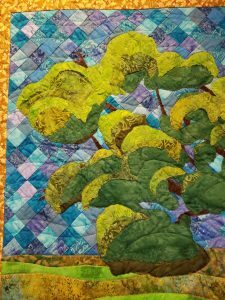 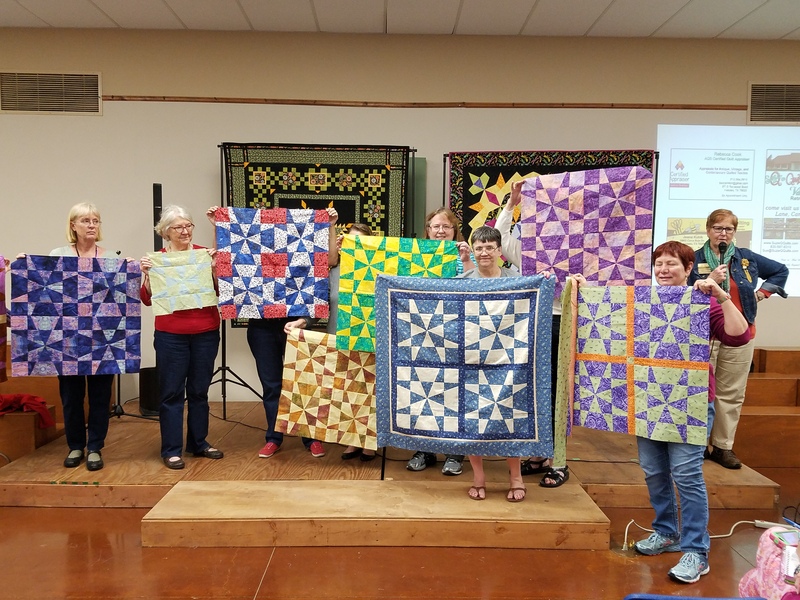 After many years of writing airplane repair instructions and teaching other engineers, she has changed her focus to designing quilts and teaching quilters. 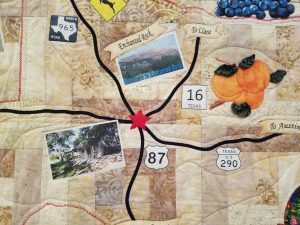 Kate’s specialties are quilts inspired by travel, wall hangings that capture travel memories, and techniques that can be used to capture the travel themes. 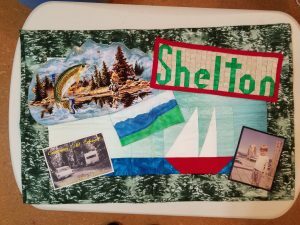 Many quilters enjoy travelling and collect fabric, postcards and a variety of souvenirs as well as taking photographs along the way. 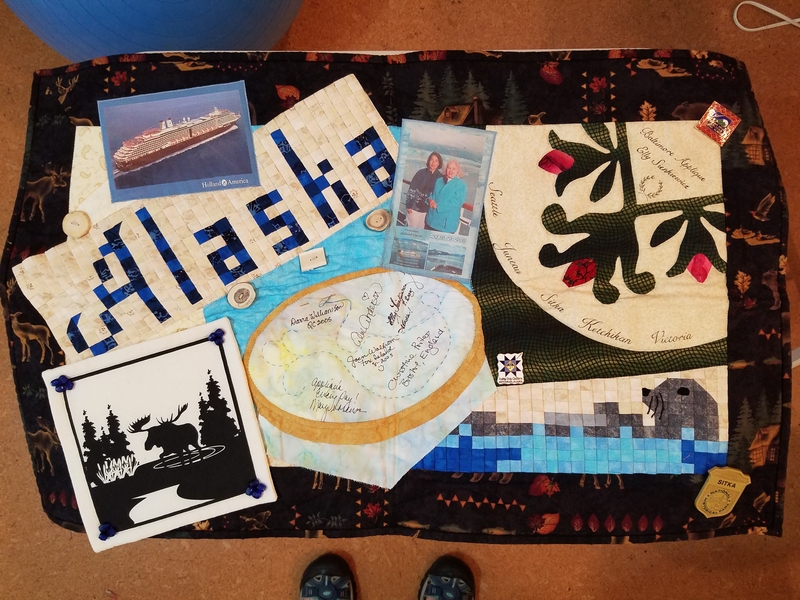 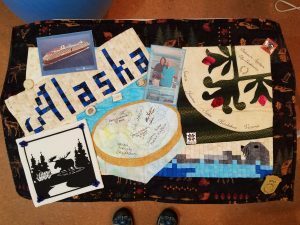 Kate teaches how to use this memorabilia to create a travel memory quilt. 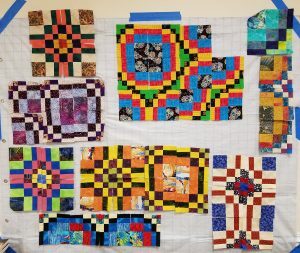 Here are a couple of small examples. 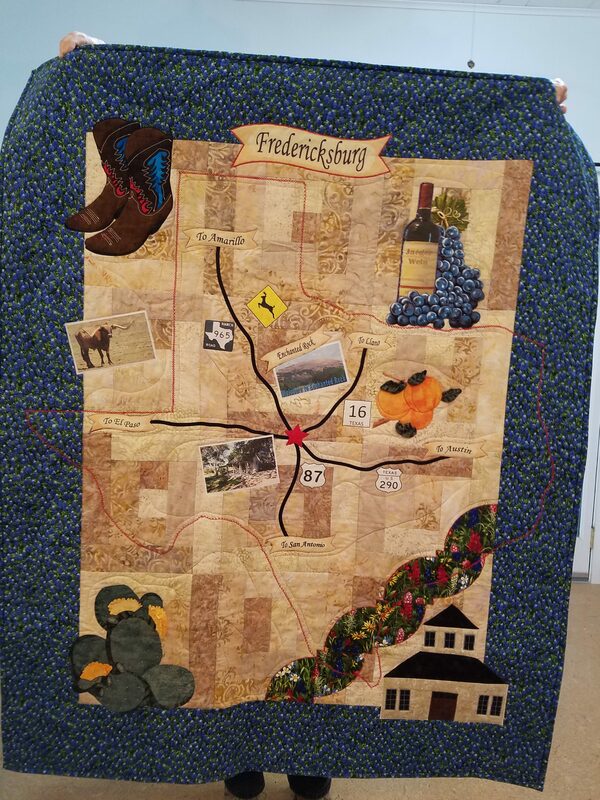 In this larger piece, Kate has created a map of the area around Fredericksburg and added the local highlights. 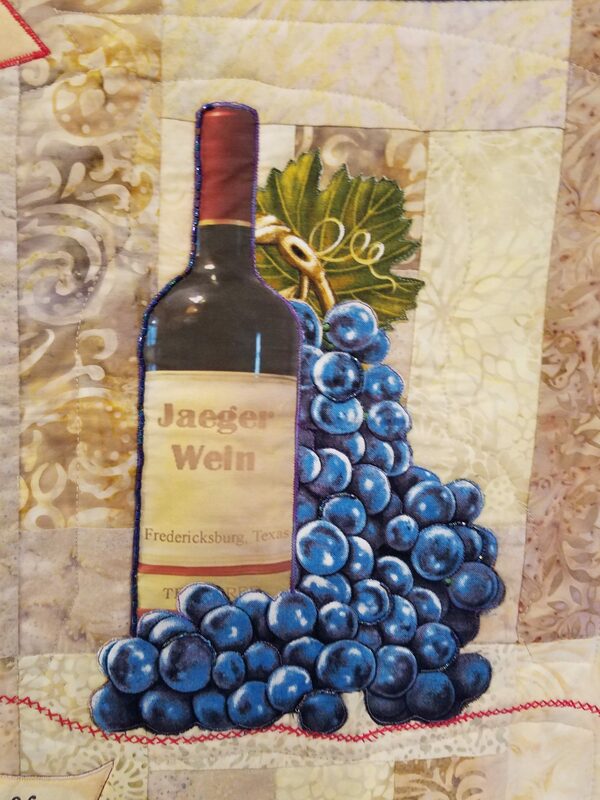 She uses a variety of techniques and materials including piecing the background, applique, photos on fabric, couching and embroidery. 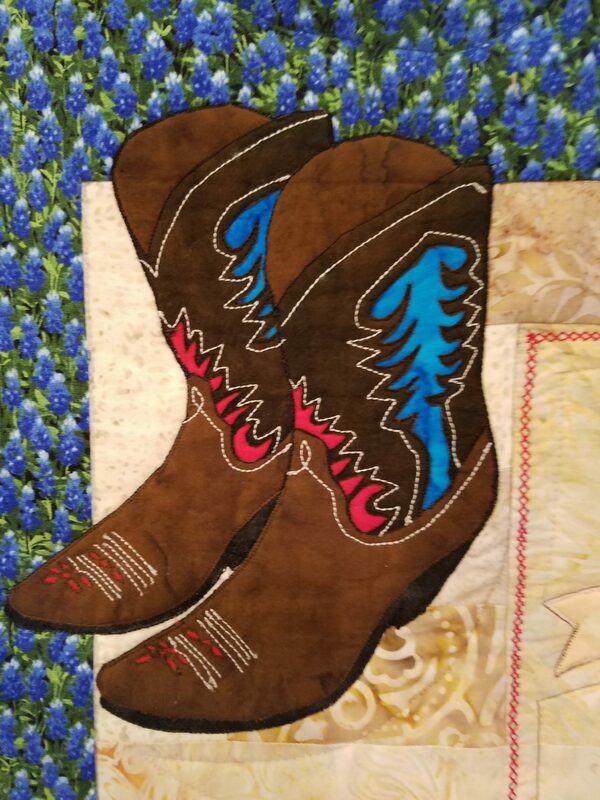 The cowboy boots are ultra-suede with reverse applique to create the colored patterns. 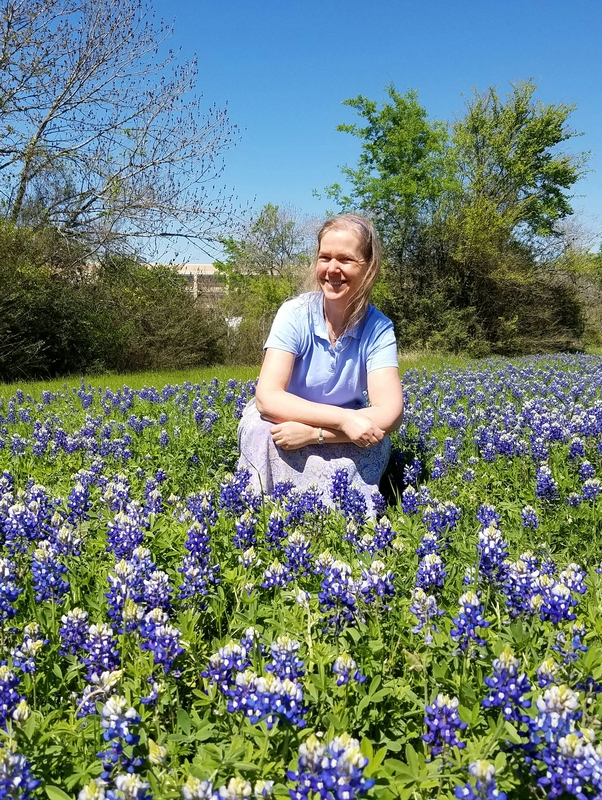 Kate travels to teach and would be delighted to come to your area. 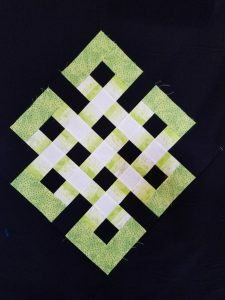 Check her website to contact her. 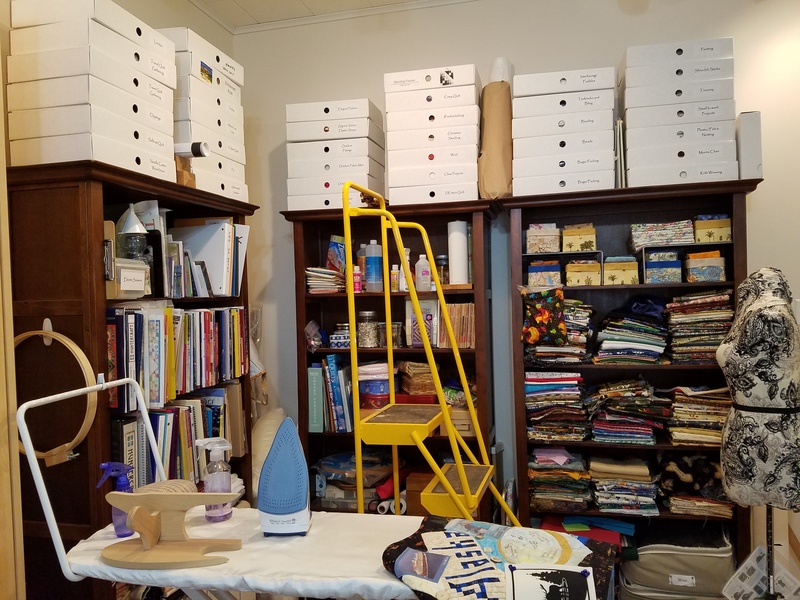 It’s always fun to see how other quilters organize their studios. 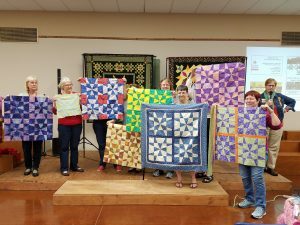 Kate is good friends with Lois Hallock, a quilter with whom she used to work at Boeing. Lois travels and teaches quilters about organizing their quilting space and making good ergonomic choices. 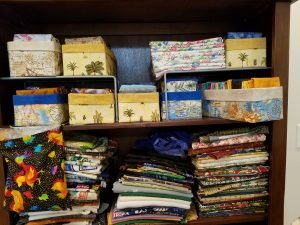 She sold Kate on storage boxes for supplies and projects. 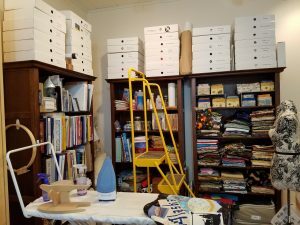 Kate has these nicely labelled and stacked above her shelves. 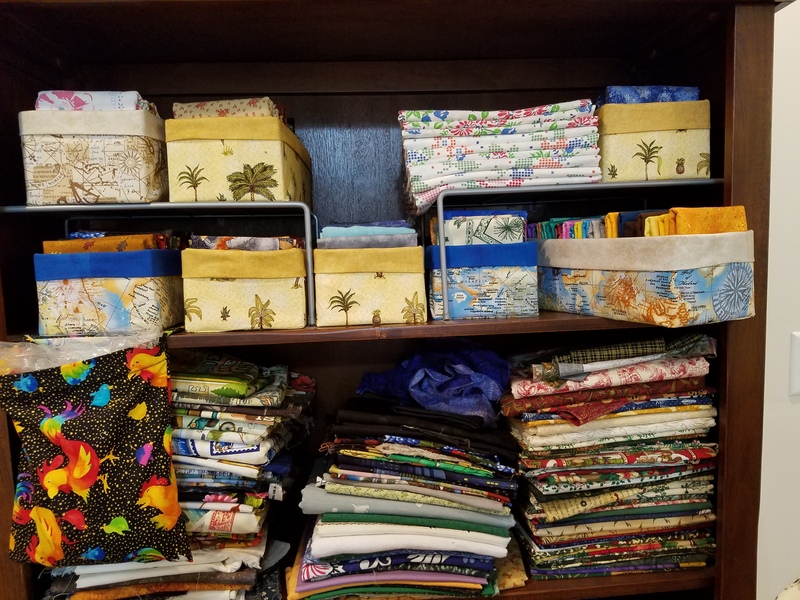 She also has useful and attractive containers for storing fat quarters. 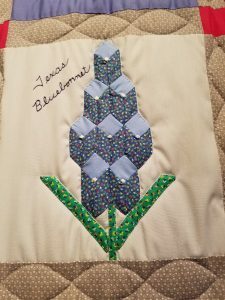 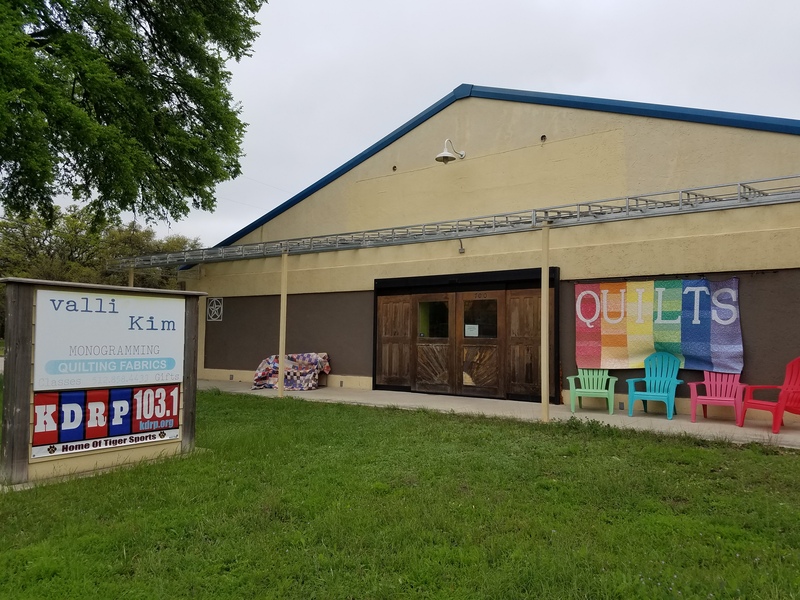 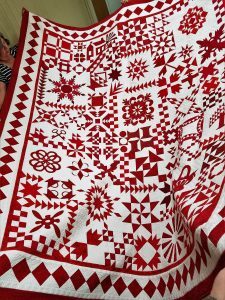 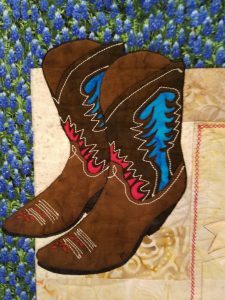 Last month I visited Valli and Kim, located in Dripping Springs between Austin and Fredericksburg, when I was transferring from the Brazos Bluebonnet Quilt Guild in Bryan to the Vereins Quilt Guild in Fredericksburg. 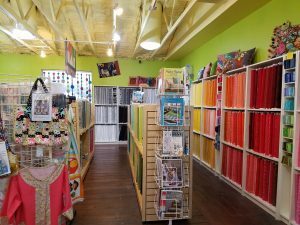 It was a great meeting point and we spent an enjoyable time perusing this colorful and vibrant store. 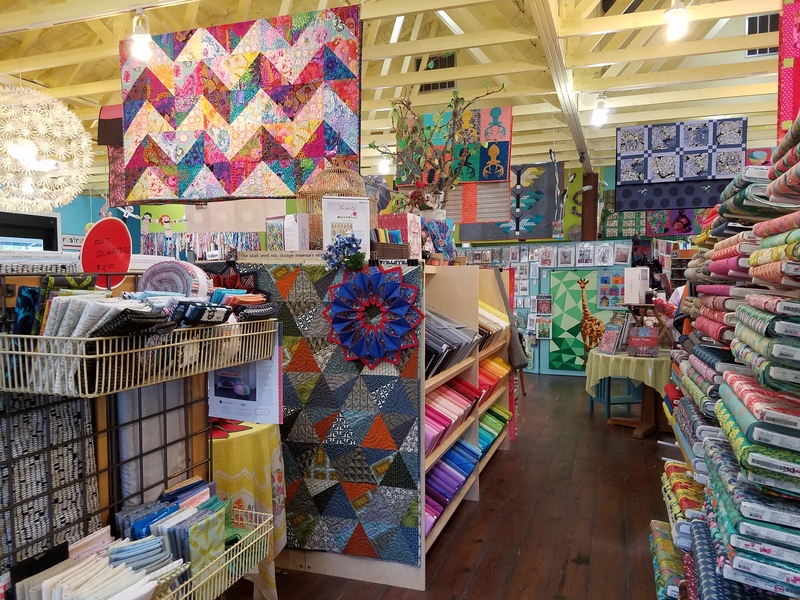 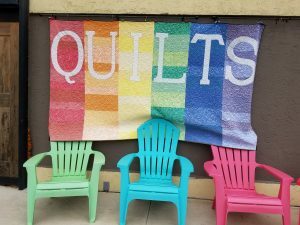 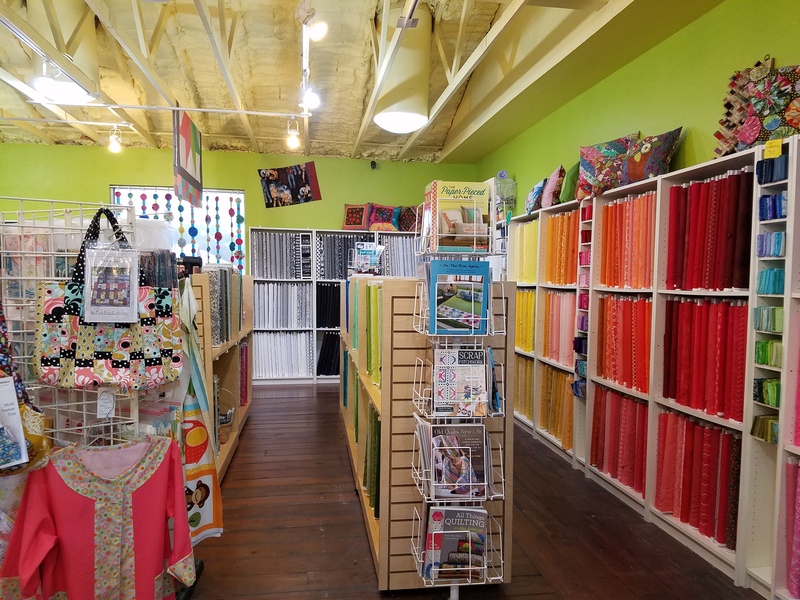 The building looks industrial from the outside, but the inside is painted in bright colors making an attractive backdrop for the numerous quilt samples and displays of racks of fabrics. 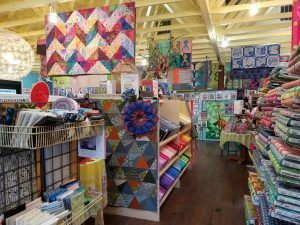 The place has a modern, fresh feel appealing to both the younger new quilters and the more seasoned of us. 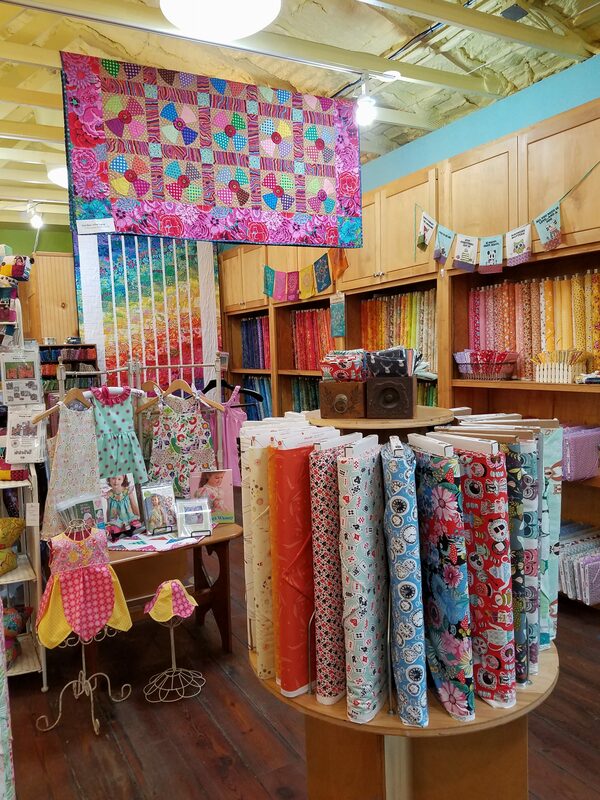 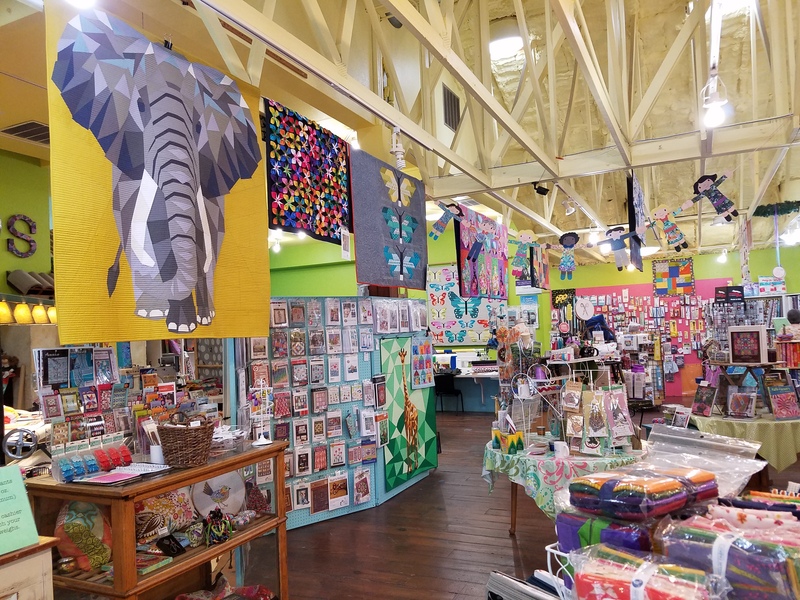 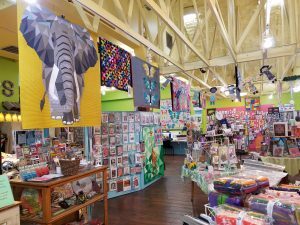 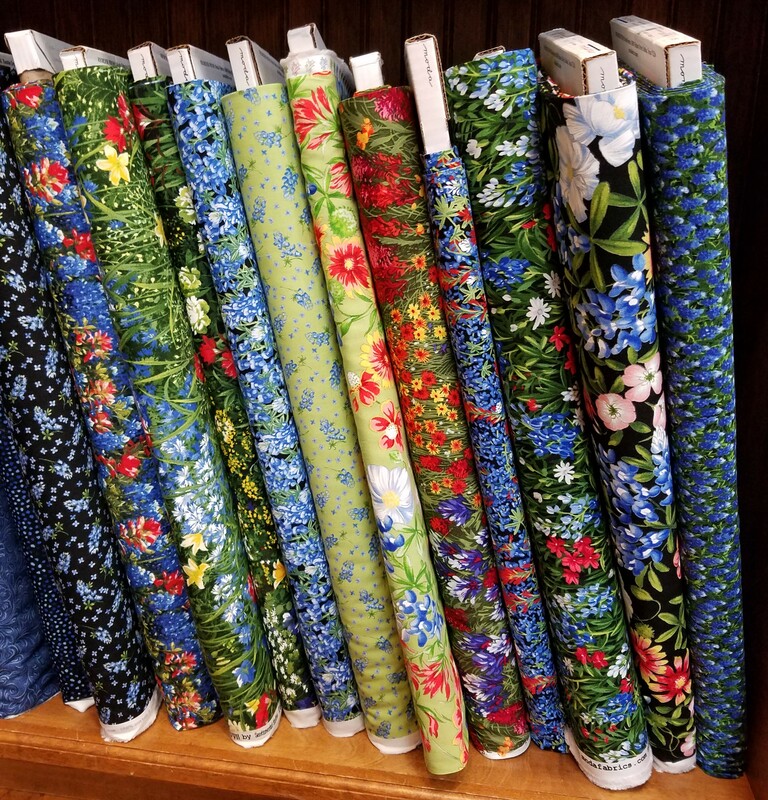 There are large collections of Kaffe Fassett fabrics, solids and more as well as a wide selection of notions, books and patterns. 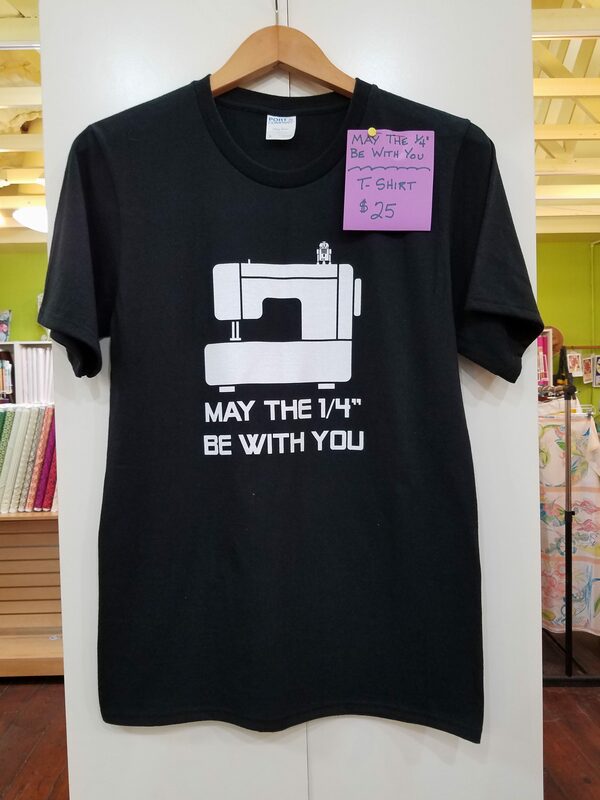 This t-shirt amused me! They have a long arm quilting machine which was in use when I was there and they are also Handi-Quilter full-service dealers. 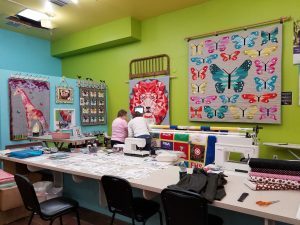 There are classes including several for kids and a summer sewing camp for kids. 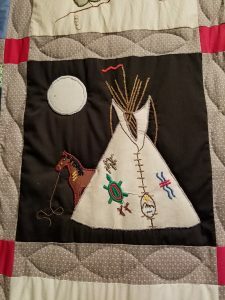 I recommend visiting if you are in the area, or you can go on-line. 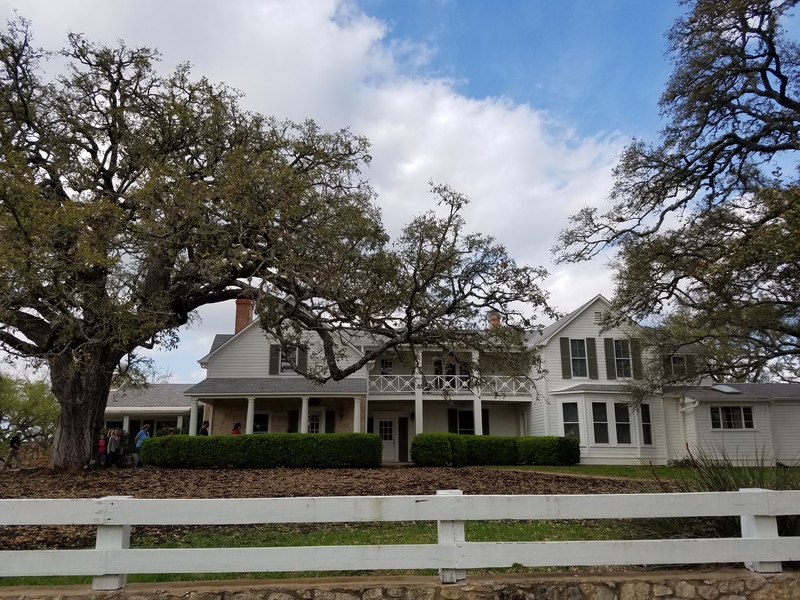 During my teaching trip to Texas last month, one of my kind hosts took me to LBJ’s Ranch also known as the Texas White House. 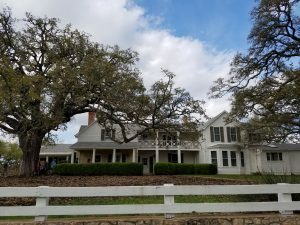 We enjoyed a walk in the grounds and a tour of the house. 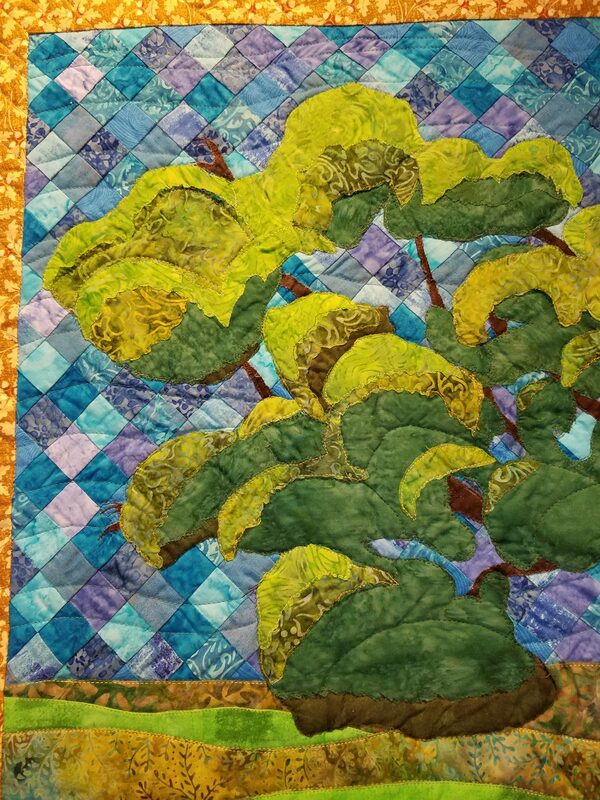 This quilt was hanging in one of the education rooms. 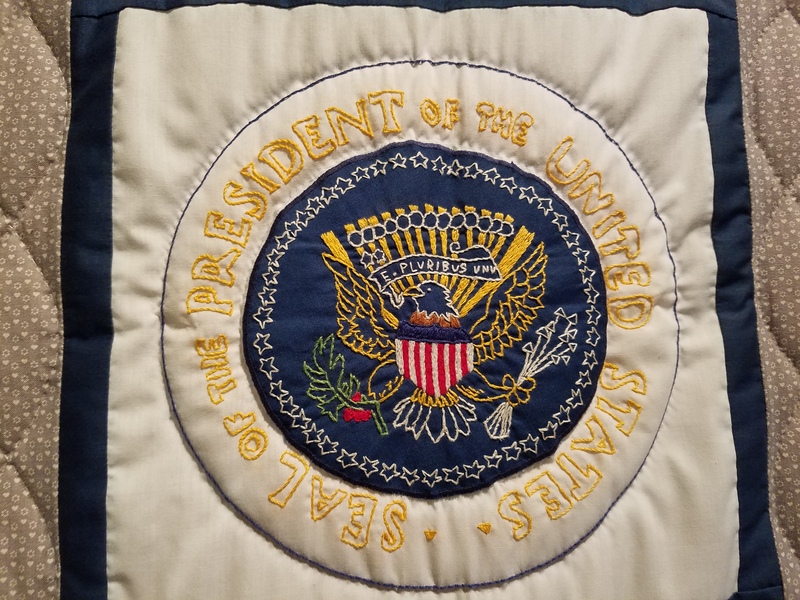 It looks a little tired and dated, but is of interest because the blocks reflect important events at the time that it was made. 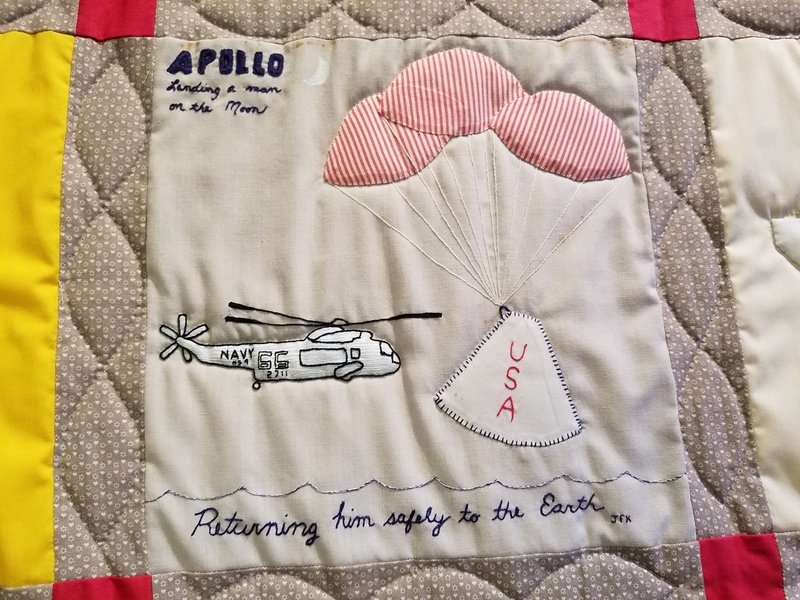 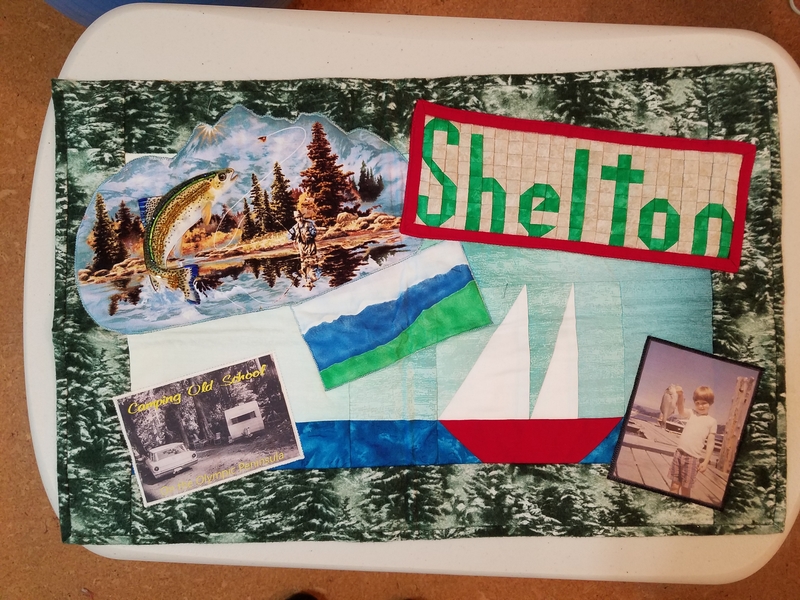 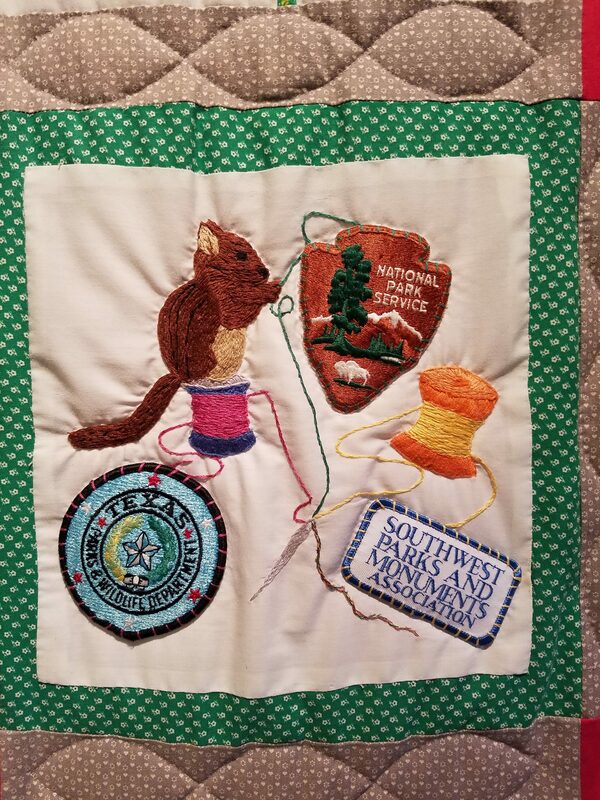 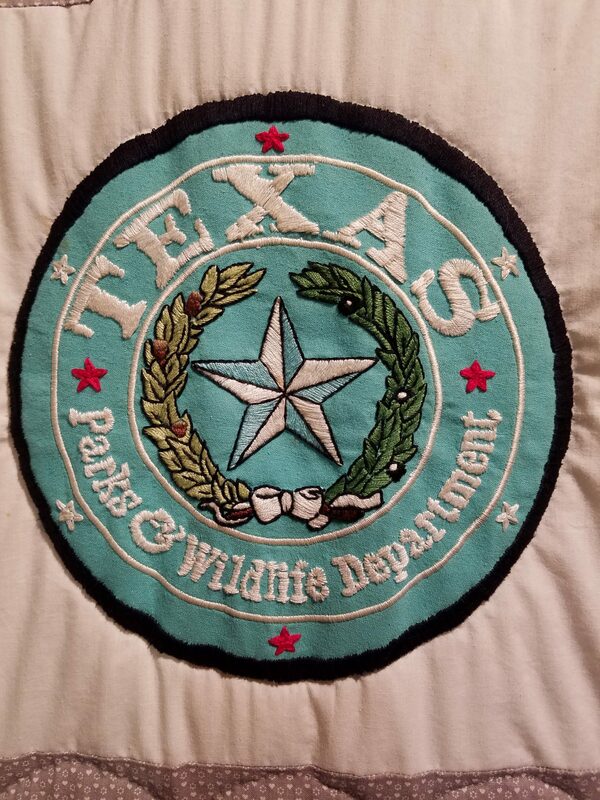 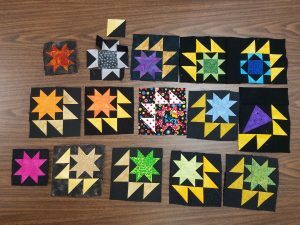 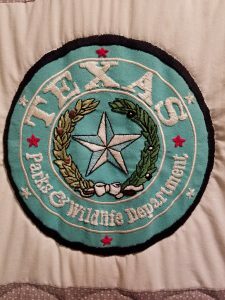 For “Operation Stitch Quilt Project” as it was called, the blocks were made and donated by staff and volunteers associated with the Lyndon B. Johnson State and National Parks, and the Southwest Parks and Monuments Association. 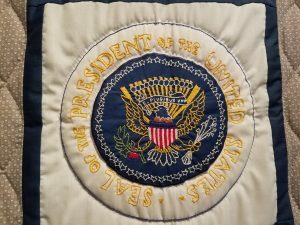 Each donor was asked to produce a block that depicts something of importance to them regarding the Texas Hill Country and/or the President who made this park a reality, the former President Lyndon B. Johnson. 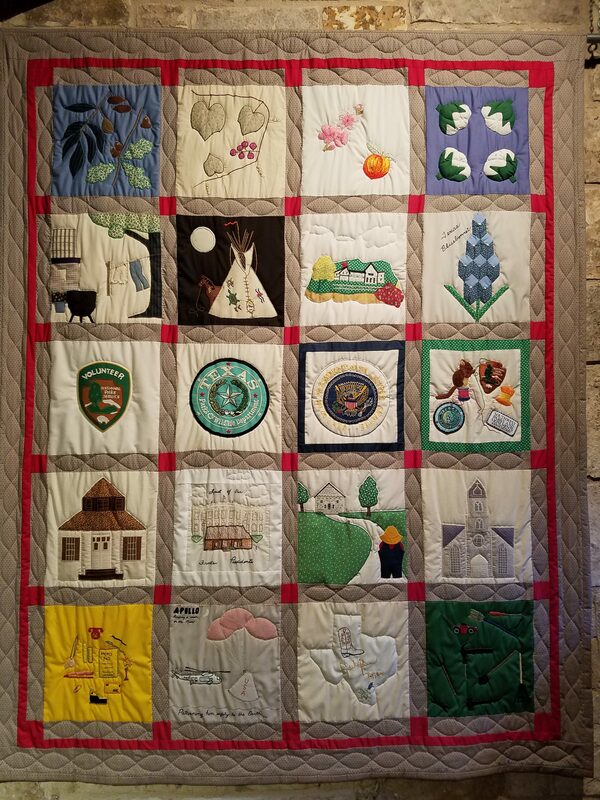 The quilt display at the park was presented for public viewing in March 1994. 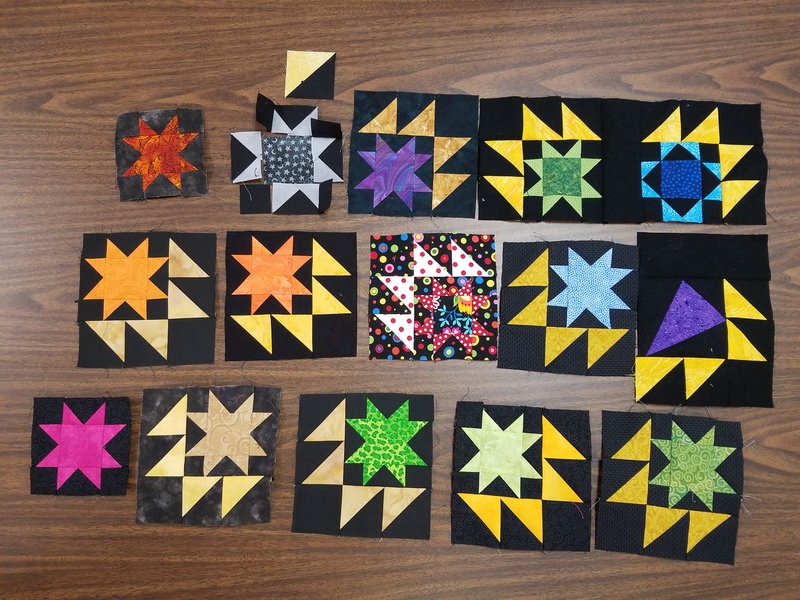 Here are some detailed shots of the blocks. 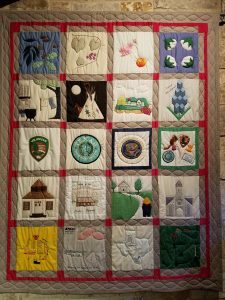 There was a book accompanying the quilt, naming all the makers of the blocks and the hand quilters. 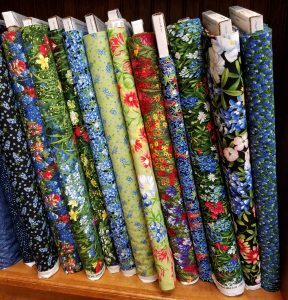 I recognized some of the fabrics as old friends from my early days of quilting.